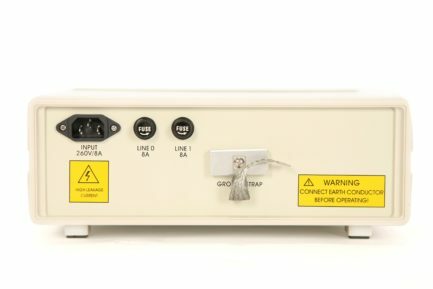 If you need to troubleshoot or make some accurate pre-compliance measurements for AC conducted emissions, this very cost effective LISN (Line Impedance Stabilization Network) can help you to avoid very expensive lab time. This particular LISN is designed for testing according to the CISPR16 standard, but it can be used as a pre-compliance tool for many other standards such as FCC Part 15B conducted emissions testing. It’s designed to measure conducted emissions in the 9 kHz to 30 MHz band with an impedance of 50 Ω ║ (50 µH + 5 Ω). The LISN is inserted into the supply line of the DUT (Device Under Test). The device measures a combination of the differential mode and common mode noise that’s present at the supply terminals of the DUT. 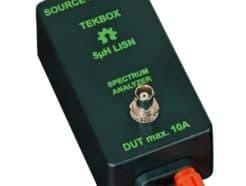 Connect any spectrum analyzer to the BNC connector with a cable to measure the noise. 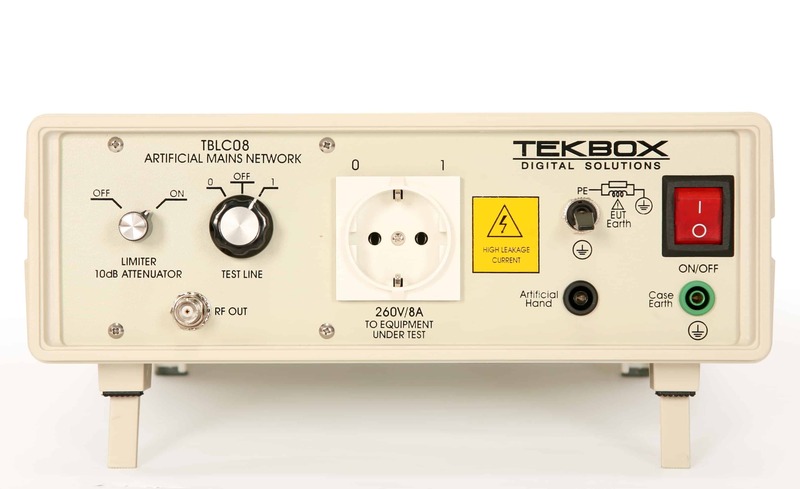 The device is designed for testing single phase, AC-powered equipment with supply voltages up to maximum 240V. Conducted noise can be measured on the phase and on the neutral conductor. The TBLC08 is equipped with a switchable limiter/attenuator and an artificial hand connection.